This is a critical time for mental health in Scotland. Funding crises and shrinking services mean that many people who experience mental health problems are unable to get the support they need, when they need it. Meanwhile, increasing numbers of people are affected by mental health problems as a direct consequence of austerity. The problems are well-known. There are serious shortcomings in the provision of accessible, acceptable, quality care and support throughout the life course. Many parts of the legal and policy framework are no longer fit for purpose. A lack of joined-up, integrated thinking means that support is based on sectoral interests and silo mentalities, rather than the goals and views of people and communities. People affected by mental health problems are more likely to be victims of violence, experience high levels of stigma and discrimination and are isolated and excluded from community life. They are poorer, die younger, and have far less access to employment and learning opportunities than other sectors of society. The simple fact is that the realities of people’s lives do not reflect the well-intentioned strategies aimed at tackling these issues. So what can we do about it? Transformational change is imperative if we are going to reverse these problems and achieve the Scottish Government’s vision of a healthier and fairer Scotland by 2030. Mainstreaming rights and recovery will create a common language and unified way of thinking to bring about the shift that is needed. In recent years, rights-based and recovery focused principles and practice have become increasingly prominent in some sectors of mental health care and support. Person centred and strengths-based, rights and recovery come with an expectation of more progressive and innovative ways of working. Using rights and recovery together will achieve stronger and more sustainable change than either approach would realise on its own. 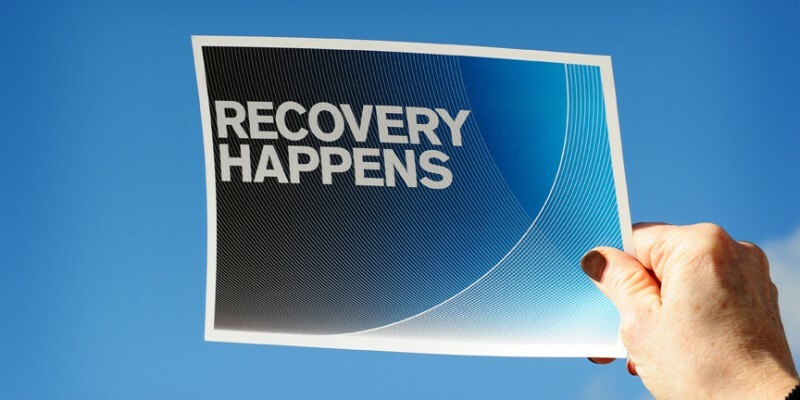 Adopting recovery principles and approaches – in particular utilizing the lived experience of people in recovery to develop policies, plans and support – can help empower people to realise their rights. Meanwhile, the rights-based approach promotes recovery because it explicitly redresses the structural inequalities in society that hinder people’s recovery. Recovery focuses on peoples’ strengths rather than their deficits and recognises them as experts by experience with an active role to play in directing their lives. This has a lot in common with the human rights model of disability, which builds on the well-known social model and is most recently championed by the UN Convention on the Rights of Persons with Disabilities (UNCRPD). The human rights model of disability recognizes people with disabilities – including people affected by mental health problems – as ‘rights holders’ (subjects of rights) and the State and other public bodies as ‘duty bearers’, with responsibilities to respect, protect and fulfil rights. Instead of framing people with mental health problems as passive objects of benevolence or broken and in need of clinical intervention to be ‘cured’, the human rights approach treats the societal barriers faced by people with disabilities as discriminatory and provides rights-based ways to overcome these obstacles. By calling for society to change, rather than the individual, the human rights model shifts the balance of power, helping people to help themselves so that they can fully participate and claim their rights. Recovery and the UNCRPD model of disability are paradigm shifts: they recognise people with lived experience as equals in society and aim to enable their full, active and meaningful participation. They challenge the prevalent charitable and medical models, which continue to dominate and perpetuate the imbalance of power between those providing and those accessing support. It’s encouraging that some of this practice is underway; however it’s widely recognised to be extremely patchy and that much more needs to be done. The Scottish Recovery Network is proud to be working in partnership with a wide range of people to explore how we can champion rights-based recovery focused practice. Human rights and mental health recovery aren’t just aspirations or meaningless principles, however without practical application they threaten to remain just that. Embracing their connections can help deliver the transformational change we need. Lucy Mulvagh is Network Manager at the Scottish Recovery Network.